He doesn't actually say "agnostic" but that's what his views would be categorized under. Personally I always found what he said to be terribly misinformed though like, Dan, you do realize that science doesn't have to reject God? And vice versa? And Christianity isn't the idea that there's a God "judging you"
As Dan mentioned he was raised by his Christian grandmother ( I'm speaking from personal experience from a similar situation, so I don't think this has much relation to what Dan may ACTUALLY feel but I thought that I might as well share.) 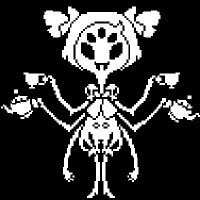 He honestly seems to have been uncomfortable with being mindful of what may upset his conservative Grandmother and after a while changing behavior build resentment, which becomes targeted towards something like in Dan's case religion itself. 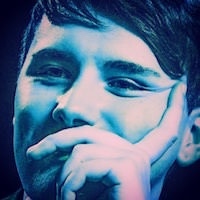 While lack of scientific fact and God "judging you" may not seem like a good reason for dismissing it, in Dan's case it just may be a cover over various other reasons especially regarding any inhibitions he may have felt with his family. To add a thing to the Christianity discussion, I was rewatching the Super Amazing Project the other day and the first episode of the third season really stood out to me. It was uploaded on September 24th, 2012. 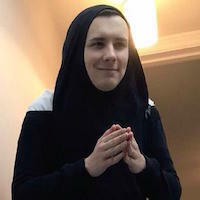 Dan: come on Christianity, you need to up your production budget! I found it funny because Phil is clearly uncomfortable about it being possibly seen as offensive, but he still can't stop himself from making this joke. And it isn't something a religious persons would say, so whatever his background is I don't think he considered himself Christian in 2012.
coffeepenguin wrote: To add a thing to the Christianity discussion, I was rewatching the Super Amazing Project the other day and the first episode of the third season really stood out to me. It was uploaded on September 24th, 2012. I especially like him saying "It's all the same stuff, isn't it? 31:31 Pumpkin spice/capitalism tangent "slave to brands"
35:09 "Clinton is the less world destroying choice." 50:50 he is super into political news since these American elections. Politics is our lives and our freedom. He wants to talk about it more but don't feel informed enough. I can't find the liveshow in question but I remember Phil recommending some show or movie in a liveshow and mentioning that it had strong female characters. Does anyone else remember? emerald wrote: I can't find the liveshow in question but I remember Phil recommending some show or movie in a liveshow and mentioning that it had strong female characters. Does anyone else remember? He talked about it in his October 2nd liveshow at around 23:00. Thanks everyone who contributed to this, I found it very interesting to read/watch up on it all! I've always perceived Dan as opinionated and passionate about social issues and am glad to find here those little snippets combined (because it's true, he does seem to be very aware of the backlash his opinions can get and treats them really carefully). I wish there was more of Phil. I'd love also just to know if it's indifference, being wary of offending people, knowing his views are controversial, or something else. I'd be so interested in hearing his thoughts on social and political matters. I love that they both stated in earlier years that they'd gone voting, that makes me happy to know that they've cared enough already back then. Especially happy made me Phil's tweet about the American election. It was his typical jokey way, but he does actually actively encourage people to vote, and that is something I value a lot. I really, really hope they will encourage people to vote in the upcoming UK elections. I respect people not stating who they're going to vote for, there's many reasons for that and most of them I view as perfectly valid. But having such a big platform with such a big audience who would really be able to change something if they attended - it would be such a waste to not speak up and simply say, "hey, go vote, it's important. I will too." that's so simple. and so effective. I really, really hope they will do that.